Oil major Shell has deepened its commitment to Egypt’s upstream oil and gas activities by taking the largest number of awards in the country’s latest licensing round on Tuesday. The Anglo-Dutch major also outlined plans for a new exploration and a production drive, as LNG exports help to ease tensions over reimbursement to international companies. “We’re back everywhere,” Shell country chair and vice president Gasser Hanter told journalists on the sidelines of the EGYPS conference, as he outlined the company’s various interests. “We have almost tripled our activity in the Western Desert, in terms of number of rigs, number of wells drilled per year. We were originally the second biggest producer in the Western Desert. I am forcing my team to strive to be Number 1 eventually,” he said. Hanter added the company’s Western Desert production was around 130,000 b/d of oil equivalent, split equally between liquids and gas. 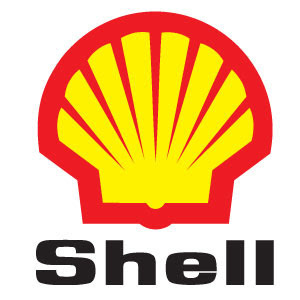 Offshore, where Shell produces from the West Delta Deep Marine concession, it is planning a new exploration campaign and hopes to approve a development project this year known as Harmattan, Hanter said. He said reforms by the government had dramatically improved Egypt’s attractiveness to investors. “You’ve seen Shell really take its game to the next level in terms of investment appetite and aggressiveness on bidding. This is going to seriously change the picture,” he said. Other companies awarded licenses on Tuesday in collaboration with Egyptian General Petroleum Corporation and EGAS included ExxonMobil, in a first for the US major, and Germany-based DEA.